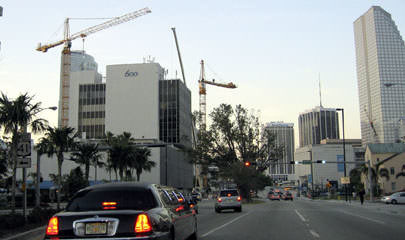 At the time that the US routes were initially signposted, Biscayne Boulevard had not been built; instead, US 1 traffic came into Miami via NE 2nd Avenue. 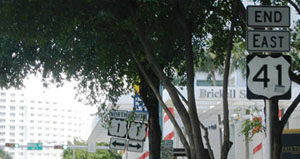 But also, Brickell Avenue did not have a bridge across the Miami River; early Automobile Blue Book maps suggest that traffic was directed west on Flagler Street, and then south on Miami Avenue to cross the river. 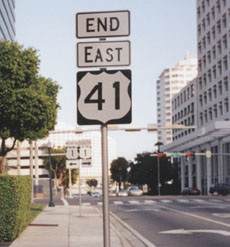 So where did US 1 end during that time? 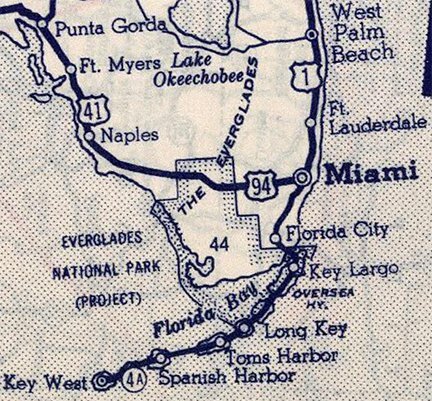 ​﻿After a few miles, that direction begins to be signed as "North", and that remains the case for the rest of the 2000-mile journey to Lake Superior along the second-longest north/south US route. 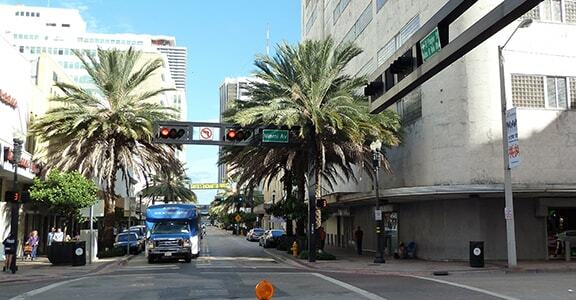 In 2013, FDoT sought and received approval to remove US 1 traffic from Brickell, instead rerouting it along I-95. 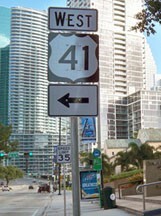 At that time, they removed the "End US 41" assemblies, but apparently made no other changes to US 41 references, not even those posted along Brickell.